Would you like to find out what is said and texted? Our phone monitoring software can give you all of this information NOW!!! It takes seconds to load and once loaded is undetectable by your partner as it does not appear anywhere on their mobile phone. 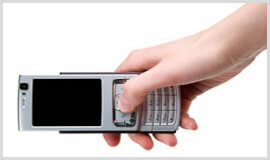 The software will record ever action performed on the mobile from the texts and calls to the websites visited. Full information below. We store the information remotely and then report back all of this collated information to you at any time, in the format of your choice.